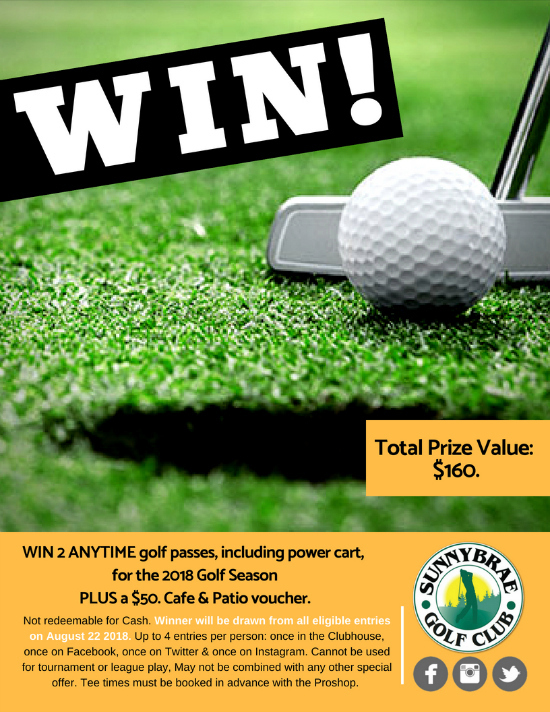 CONTEST: Win 2 ANYTIME golf passes, including a power cart, PLUS a $50. 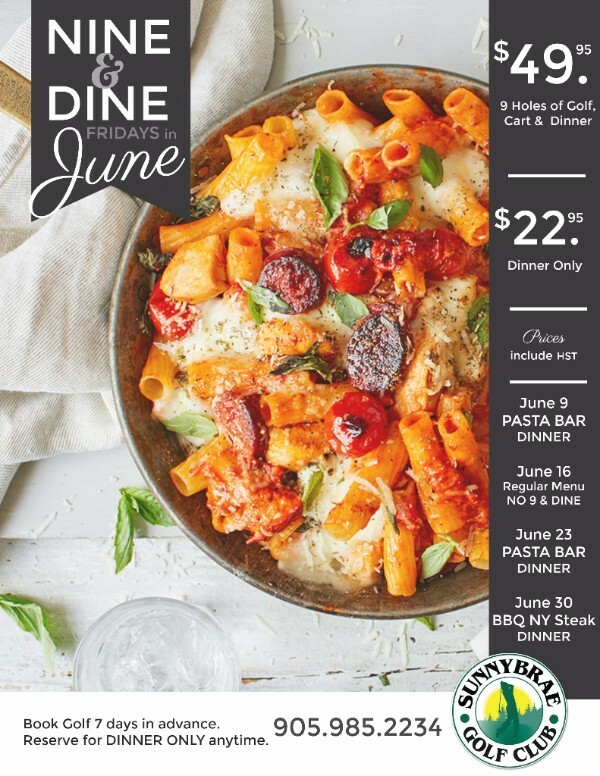 Sunnybrae Cafe & Patio voucher! In order to win this amazing prize, all you need to do is “Like” this post. 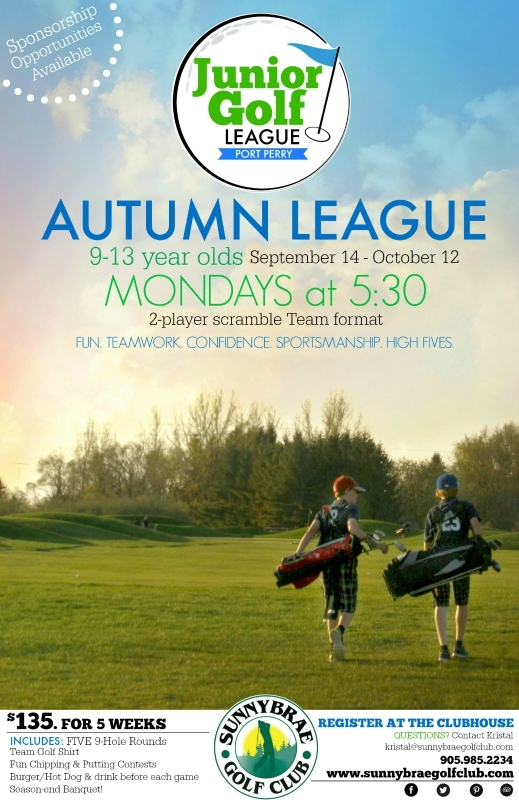 Don’t forget to share with your friends and family! 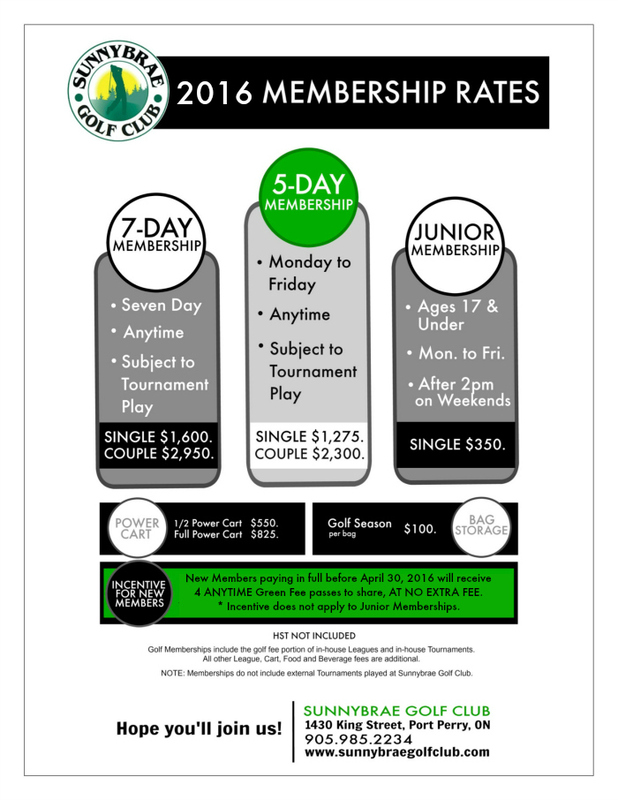 #Contest closes August 22, 2018 at 12:01am. Winner will be randomly selected from all eligible entries and will be contacted! 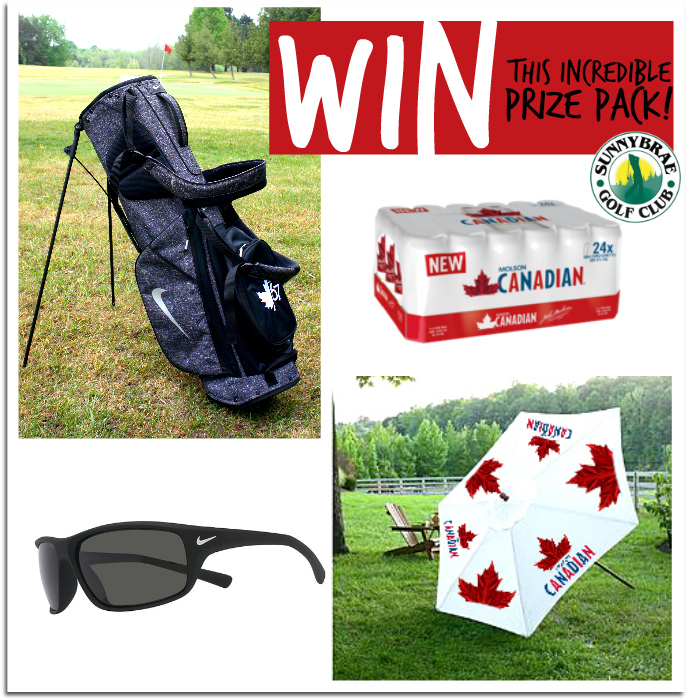 WIN this Molson Canadian Summer FUN prize pack! 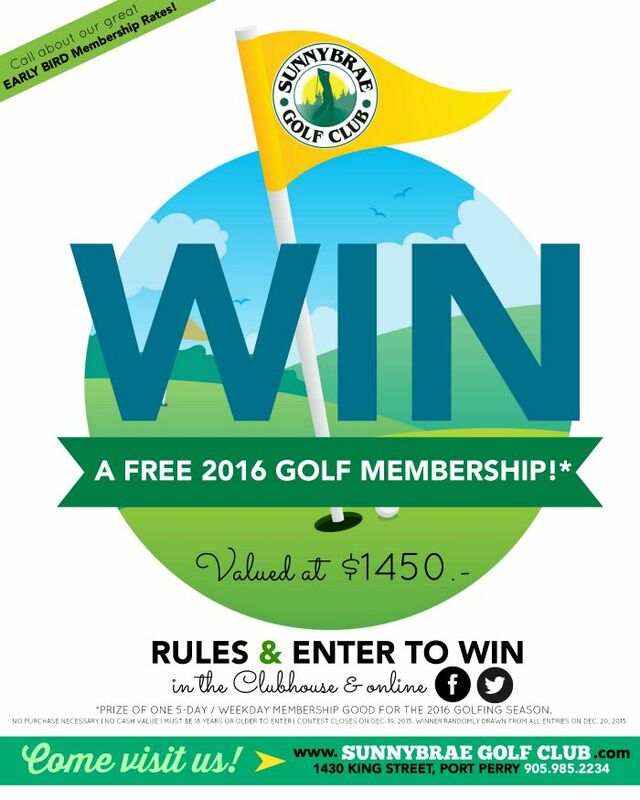 WIN a FREE 2016 Sunnybrae Golf Club Membership! 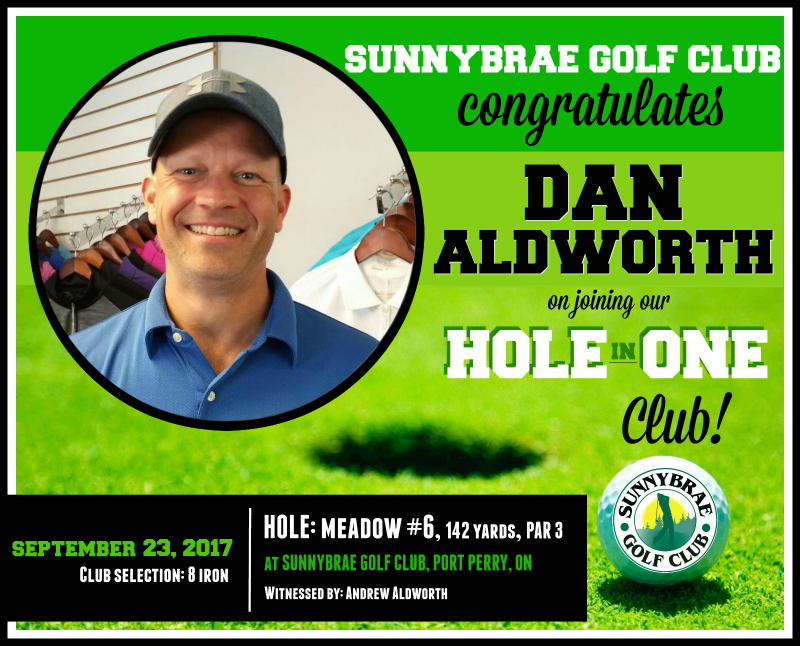 Congrats to our latest HOLE in ONE, Dan Robertson!